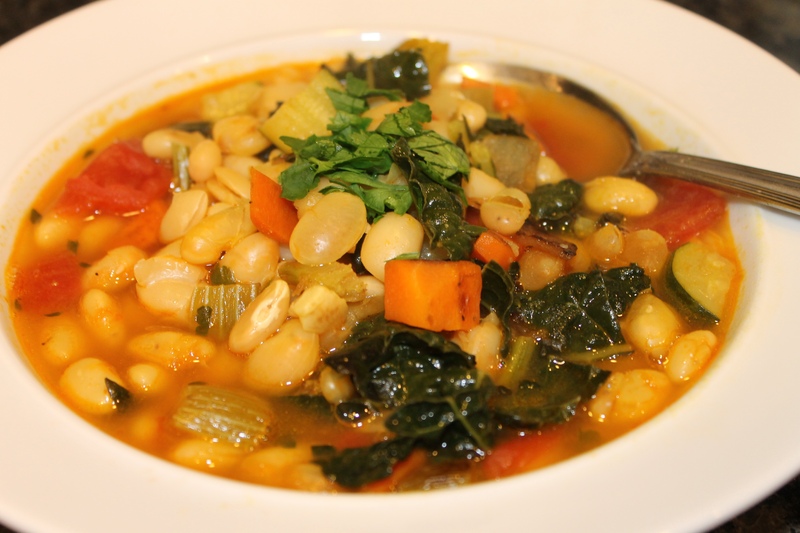 White Bean + Kale Soup. Start by boiling the beans on medium heat. They take about an hour or so, but when they are finished I saved the water and used the bean broth as my base broth for the soup (instead of veggie or chicken broth). 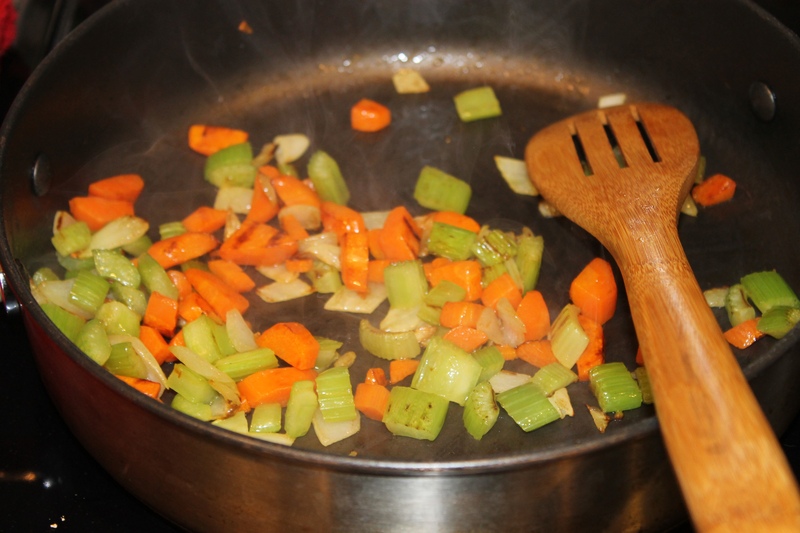 In a separate pan – sauté the diced onions, carrots and celery with olive oil on low heat. 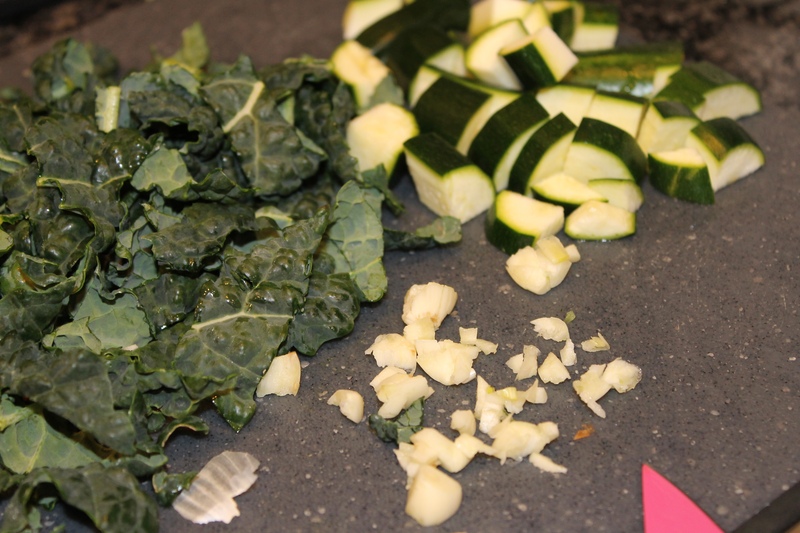 When the veggies look cooked, you can add minced garlic and diced kale to to the mix. 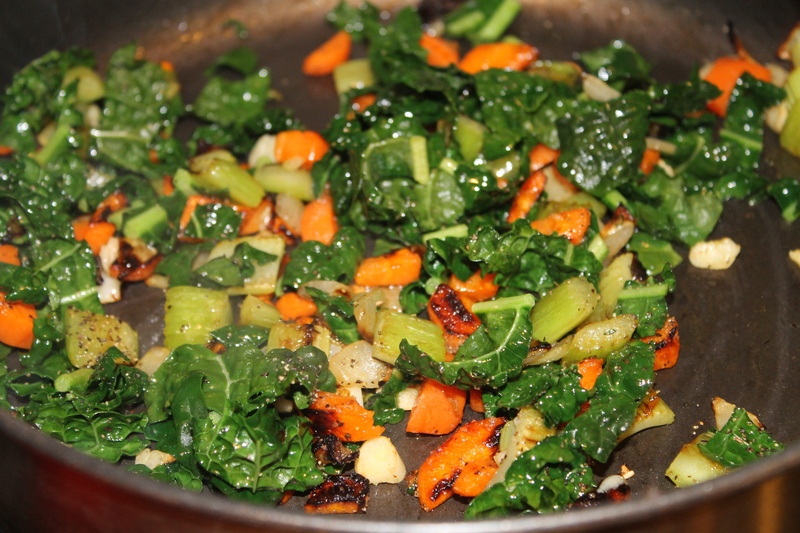 Sauté the kale until it is soft. You can add this mixture of veggies to the bean water or chicken stalk- whichever you decide to use. Add zucchini, diced tomato or tomato paste, a couple sprigs of fresh thyme, bay leaves, turmeric (optional) fresh chopped parsley, salt/pepper (go easy because you can always add later to taste when all the flavors blend). Let the soup simmer- my beans weren’t finished cooking all the way through so I let them finish with all the added ingredients mixed in. Another option is to boil the kale separately and then adding to the bean water. Either way, it gets soft and doesn’t really taste like kale (brilliant for those that don’t prefer it)! Season to taste, add a little lemon and enjoy! I like to add crushed red pepper for a little spice. The best part about soup is that you can add anything… Dried oregano and dried parsley are also great alternatives in case don’t have fresh on hand! If you have time to boil your own beans make sure you soak the beans before use. If using canned there is no need to soak. If you have any questions shoot me an email.